2653001 E9SR Evolution FIAT-KOBELCO E9SR Evolution Mini crawler excavator Spare parts catalog. Operation and maintenance manual. Service/Repair manual. 2653002 E16 Evolution FIAT-KOBELCO E16 Evolution Mini crawler excavator Spare parts catalog. Operation and maintenance manual. Service/Repair manual. 2653003 E18 Evolution FIAT-KOBELCO E18 Evolution Mini crawler excavator Spare parts catalog. Operation and maintenance manual. Service/Repair manual. 2653004 E20.2SR FIAT-KOBELCO E20.2SR Mini crawler excavator Spare parts catalog. Operation and maintenance manual. Service/Repair manual. 2653005 E20SR Evolution FIAT-KOBELCO E20SR Evolution Mini crawler excavator Spare parts catalog. Operation and maintenance manual. Service/Repair manual. 2653006 E22.2SR FIAT-KOBELCO E22.2SR Mini crawler excavator Spare parts catalog. Operation and maintenance manual. Service/Repair manual. 2653007 E22SR Evolution FIAT-KOBELCO E22SR Evolution Mini crawler excavator Spare parts catalog. Operation and maintenance manual. Service/Repair manual. 2653008 E25SR Evolution FIAT-KOBELCO E25SR Evolution Mini crawler excavator Spare parts catalog. Operation and maintenance manual. Service/Repair manual. 2653009 E27.2SR FIAT-KOBELCO E27.2SR Mini crawler excavator Spare parts catalog. Operation and maintenance manual. Service/Repair manual. 2653010 E30.2SR FIAT-KOBELCO E30.2SR Mini crawler excavator Spare parts catalog. Operation and maintenance manual. Service/Repair manual. 2653011 E30SR Evolution FIAT-KOBELCO E30SR Evolution Mini crawler excavator Spare parts catalog. Operation and maintenance manual. Service/Repair manual. 2653012 E35.2SR FIAT-KOBELCO E35.2SR Mini crawler excavator Spare parts catalog. Operation and maintenance manual. Service/Repair manual. 2653013 E35SR Evolution FIAT-KOBELCO E35SR Evolution Mini crawler excavator Spare parts catalog. Operation and maintenance manual. Service/Repair manual. 2653014 E40.2SR FIAT-KOBELCO E40.2SR Mini crawler excavator Spare parts catalog. Operation and maintenance manual. Service/Repair manual. 2653015 E40SR Evolution FIAT-KOBELCO E40SR Evolution Mini crawler excavator Spare parts catalog. Operation and maintenance manual. Service/Repair manual. 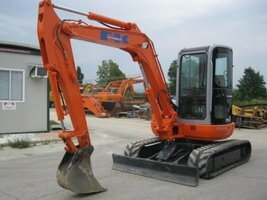 2653016 E45SR FIAT-KOBELCO E45SR Mini crawler excavator Spare parts catalog. Operation and maintenance manual. Service/Repair manual. 2653017 E45SR Evolution FIAT-KOBELCO E45SR Evolution Mini crawler excavator Spare parts catalog. Operation and maintenance manual. Service/Repair manual. 2653018 E50.2SR FIAT-KOBELCO E50.2SR Mini crawler excavator Spare parts catalog. Operation and maintenance manual. Service/Repair manual. 2653020 E70SR FIAT-KOBELCO E70SR Midi crawler excavator Spare parts catalog. Operation and maintenance manual. Service/Repair manual. 2653021 E70SR Evolution FIAT-KOBELCO E70SR Evolution Midi crawler excavator Spare parts catalog. Operation and maintenance manual. Service/Repair manual. 2653022 E80 FIAT-KOBELCO E80 Midi crawler excavator Spare parts catalog. Operation and maintenance manual. Service/Repair manual. 2653023 E80 Evolution FIAT-KOBELCO E80 Evolution Midi crawler excavator Spare parts catalog. Operation and maintenance manual. Service/Repair manual. 2653024 E80SR Evolution FIAT-KOBELCO E80SR Evolution Midi crawler excavator Spare parts catalog. Operation and maintenance manual. Service/Repair manual. 2653025 E115SR FIAT-KOBELCO E115SR Midi crawler excavator Spare parts catalog. Operation and maintenance manual. Service/Repair manual. 2653026 E115SR Evolution FIAT-KOBELCO E115SR Evolution Midi crawler excavator Spare parts catalog. Operation and maintenance manual. Service/Repair manual. 2653027 E135 Evolution FIAT-KOBELCO E135 Evolution Midi crawler excavator Spare parts catalog. Operation and maintenance manual. Service/Repair manual. 2653028 E135SR FIAT-KOBELCO E135SR Midi crawler excavator Spare parts catalog. Operation and maintenance manual. Service/Repair manual. 2653029 E135SR Evolution FIAT-KOBELCO E135SR Evolution Midi crawler excavator Spare parts catalog. Operation and maintenance manual. Service/Repair manual.